Our product range includes Slaked Lime. 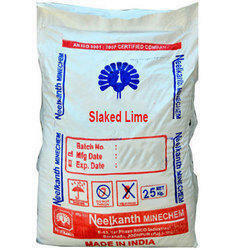 We are indulged in offering the finest quality Slaked Lime Powder. We are one of leading slacked lime manufacturers and suppliers in India. We supply water slacked lime and air slacked lime to our customer at market leading prices. Slacked lime has various industrial applications. It is also available as per customer requirement. 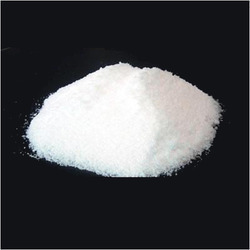 We manufacture Slaked Lime that is fine powder that is free flowing and also free from grits as well as impurities. Made at our own production unit and fully automatic plants, we offer these hydrated limes in various specifications. Being one of the renowned firms in the industry, we are decidedly involved in providing a premium quality array of Slaked Lime. Keeping in mind the ever-evolving needs of our clients, we are devoted towards offering an optimum quality array of Slaked Lime. Symbolic to all the success we have acquired in the industry, remains our status as a prominent enterprise engaged in offering Lime Kali.